You never know where you will find a Kohler adventurer. On recent trip to China, we walked along The Great Wall, gazed at the Terra Cotta Warriors and strolled through the main gate of the Forbidden City. Truly a trip of a lifetime! "Enjoy Your Pool, Enjoy Life." 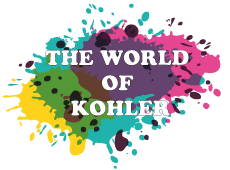 is more than just a motto at Kohler Pool and Spa Supply.